Most companies know how important it is to keep their servers and other integral electronic equipment properly stored and safe from harm’s way, but not everyone thinks about how equally important wire management is. If you have lots of electronics stored in one room, but you don’t have the proper cable management system in place, you’ll end up with a mess of wires that could easily get unplugged, twisted together, or simply ruined. 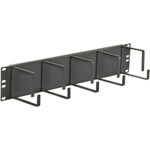 This cable management panel consists of four vertical and two horizontal support rings that help organize cables along racks. 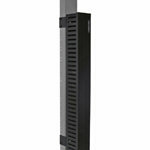 With its 18 vertical rings along with a horizontal ring on each end, this cable management panel provides optimal support for all necessary cabling. This cable management panel was designed to take up two rack spaces on any 19" rackmount and organize larger amounts of cabling. 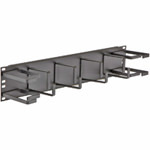 This 19" rackmount cable management panel consists of 4 vertical and horizontal rings and was designed to organize multiple cable paths along racks. 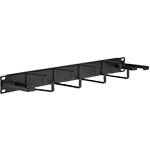 This 19" rackmount cable management panel includes 5 vertical rings in the front and 4 in the back, which gives allows for the maximum organization of various cable paths. 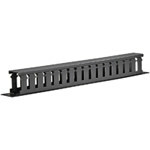 These finger duct panels provide efficient cable management with the lightweight plastic construction along with easy installation methods. 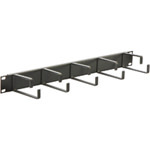 This specific cable management wire channel consists of both a front and a rear wire manager and attaches to all 19" racks cabinets. These cable management panels help route cabling between the flexible "finger" ducts. 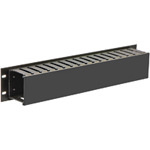 Protect your data and maintain high performance with proper cable management, and protect the cabling with these Cable Management Horizontal Channels. 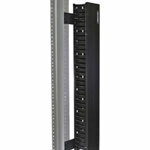 These Vertical Channels provide cable management on the front of racks and come complete with mounting brackets and screws. 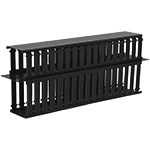 These cable management panels help to bridge together two racks and provide a channel that guides cables vertically between them. 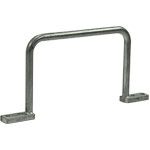 Cable Management Lacing Support Bar - 3.5" x 19"
The support bars mount between any 19" racks or cabinets and provide a sturdy form of cable management. 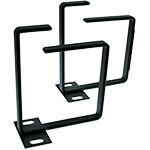 These premium Cable Management Guides are designed to mount on the sides of Racks and provide high capacity vertical cable management and are sold in pairs. 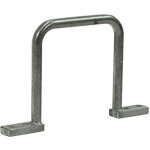 This 6" vertical ring mounts onto the side of racks and provides high capacity vertical cable management. These 2" distribution rings securely hold cables to walls and ceilings and have rounded edges to avoid installation damage. These 3" distribution rings hold and secure bundles of cabling to the wall or racks and have rounded edges to avoid insulation damage. 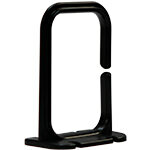 These 6" distribution rings are the largest size offered and secure cabling to racks or walls and provide optimal cable management. 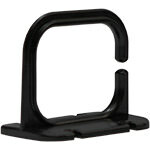 These 3" plastic cable hangers provide cable management with the benefit of a lower cost. 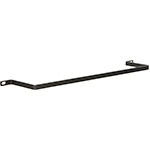 These 5" plastic cable hangers are the cheaper option for securing cabling against walls or racks. 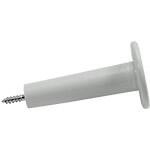 This mushroom screw mounts onto a wall or piece of plywood and effectively manages bundles of cables. 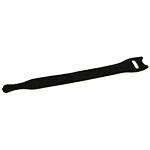 Each 6" velcro strap is used to restrain and bundle up cables for better organization. If you have a lot of electronic equipment in one small space, it’s inevitable that you also have a lot of network cable wiring which, if imporperly manged, leaves your equipment susceptible to damage. To avoid technology outages or broken equipment caused by rogue cords, you can use one of the many cable wire management solutions available through Gruber Communication Products. 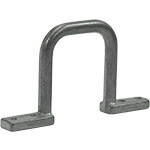 One option is to use a cable guide or wire channel, a long tube-like solution that you can put cords and wires through so they stay enclosed and separated from other wires. Another option is to use a cable management panel, which allows you to gather and separate several different sets of wires on hooks within one long panel. Regardless of the cable wire management solutions you choose, you’ll have a better piece of mind knowing that the cords and wires for your important electronic equipment is stored safely and securely.